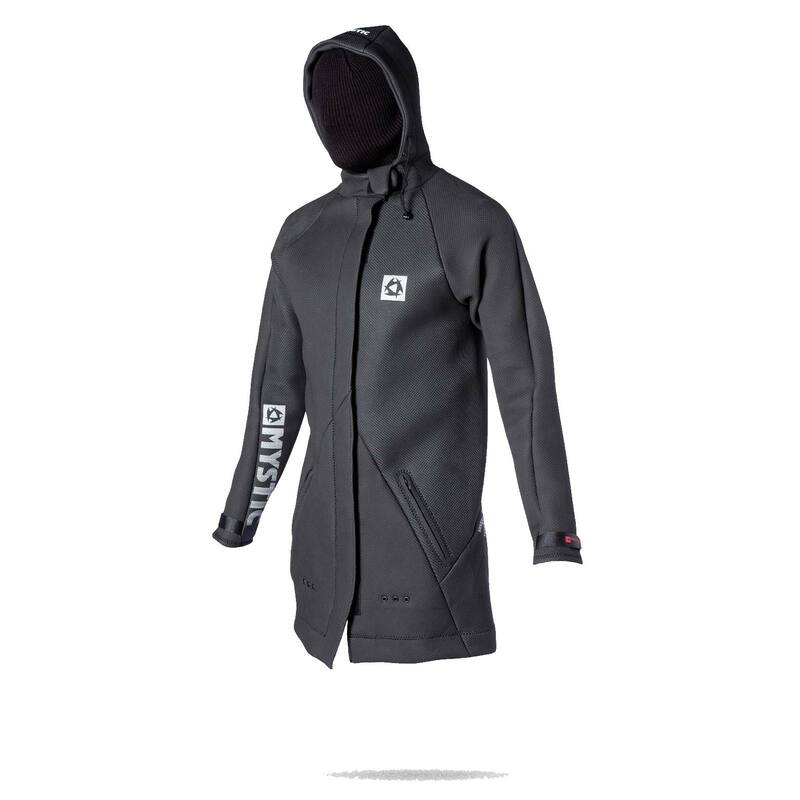 The new Sharkskin battle jacket by mystic is windproof designed for the avid Kitesurfer who wants to carry on riding during the colder winter season. 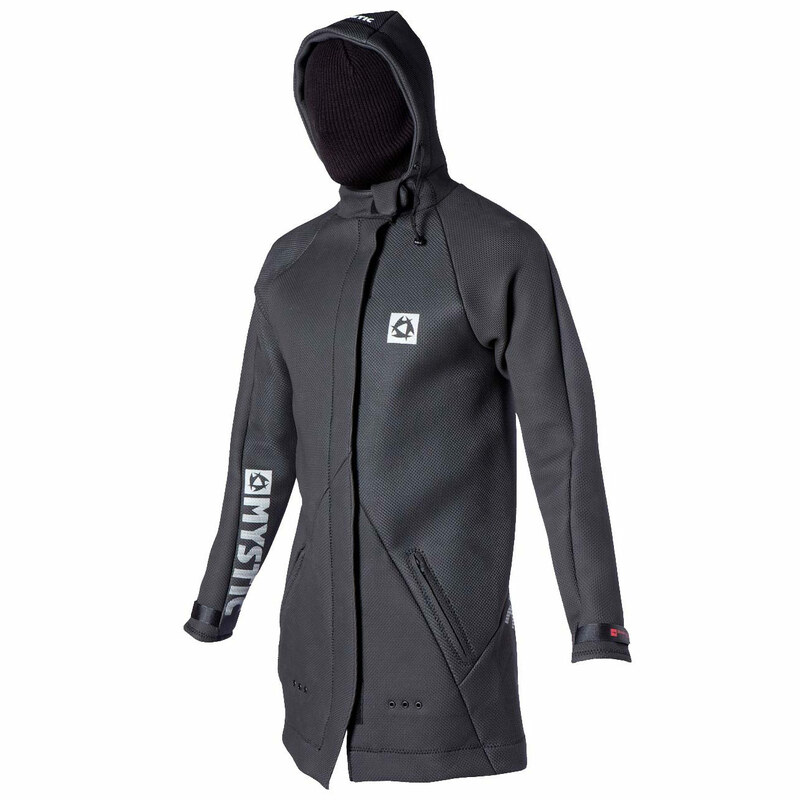 This wetsuit jacket will make sure that you stay warm and comfortable on the shore-line making your riding sessions longer and more fun during the winter or colder seasons. DURAFLEX NEOPRENE - A medium stretched neoprene that is very comfortable to wear and is also a very strong and durable material. It also prevents getting cold in the shoreline with the fitted hood along with a high collar to provide warmth. FULLY GLUED AND STITCHED WATER SEALING - The edges of the panels of neoprene are covered with a highly adhesive UV resistant glue, after drying for a few minutes the glue is then again applied to increase its bonding capabilities. After the panels had been put together carefully by hand it will be then squeezed firmly by an electric pressing tool accurately cm by cm to achieve extreme strength and durability, the seams are then stitched on the inside with a blind-stitch sewing machine to achieve the best possible quality and finish making it tear-proof and completely watertight to provide comfort and insulation. TEDDY-PRENE PLUSH - A material that provides the wearer a very soft feel interior whilst wearing the wetsuit and it also reflects body heat. 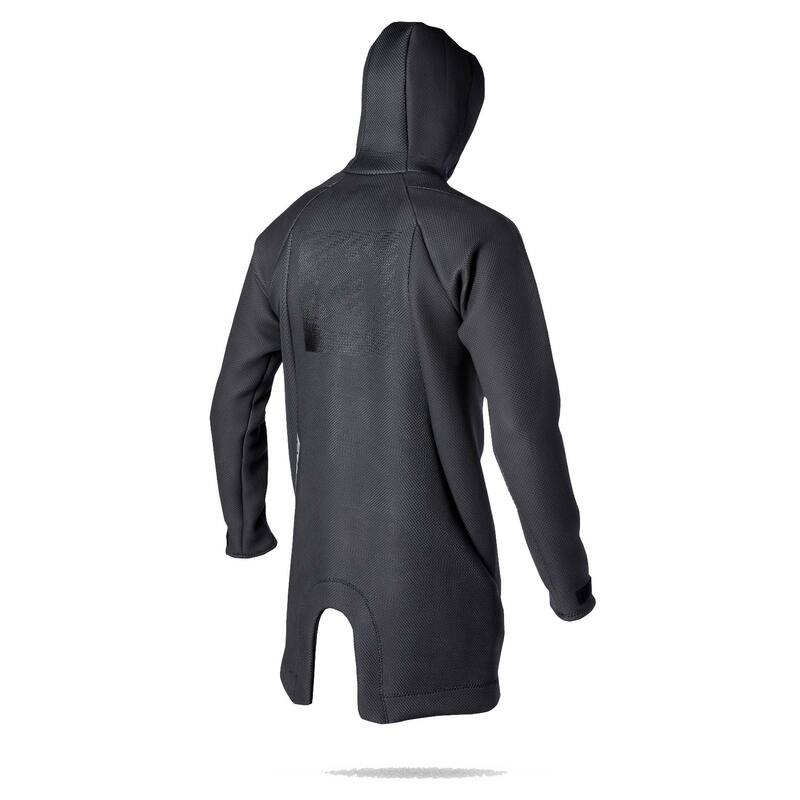 This material is much lighter, warmer, and flexible compared to thermal internal jersey used by other wetsuits.